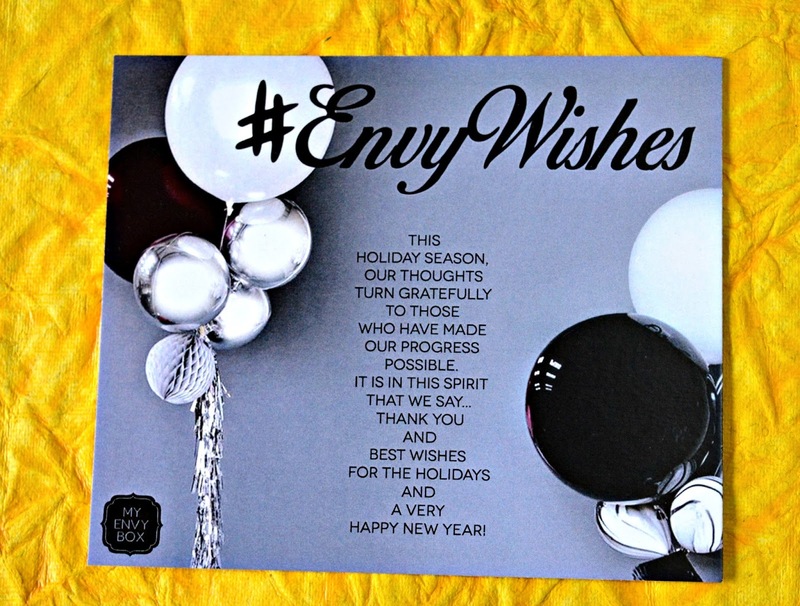 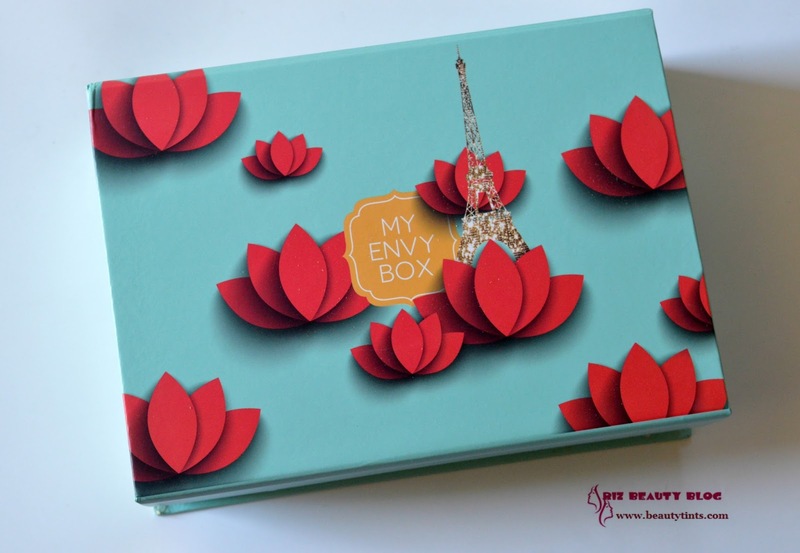 Sriz Beauty Blog: My Envy Box February 2017 Edition Review!!! 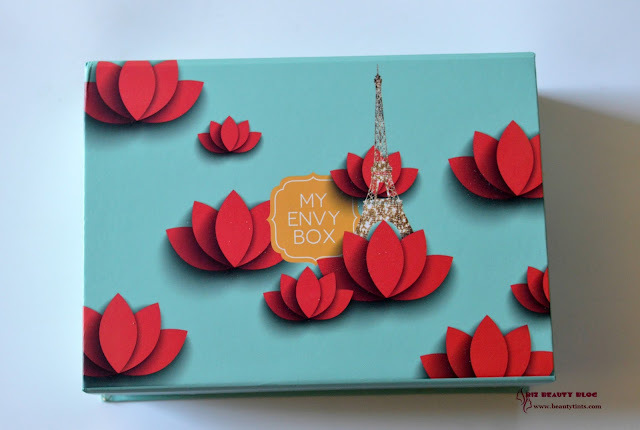 Few hours back I have received the February 2017 Edition of My Envy Box and this month's theme is Indo-French Edition.This time the box is in sky blue color with lotus motifs depicting India and Eiffel tower depicting France to go with the theme! 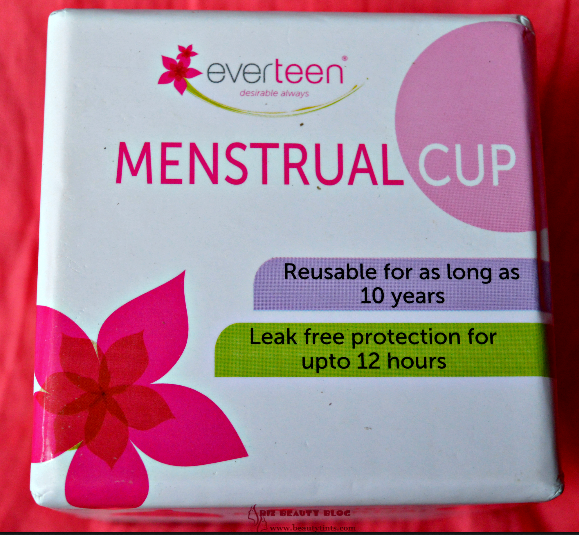 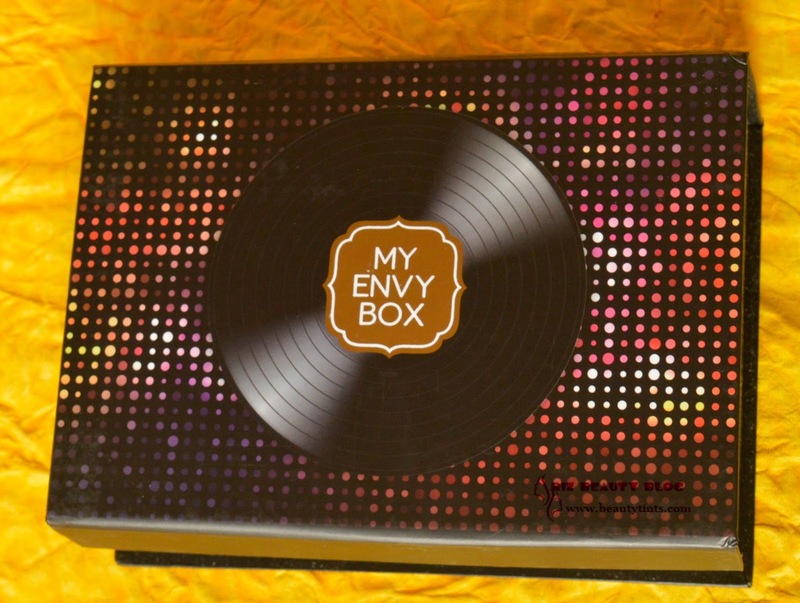 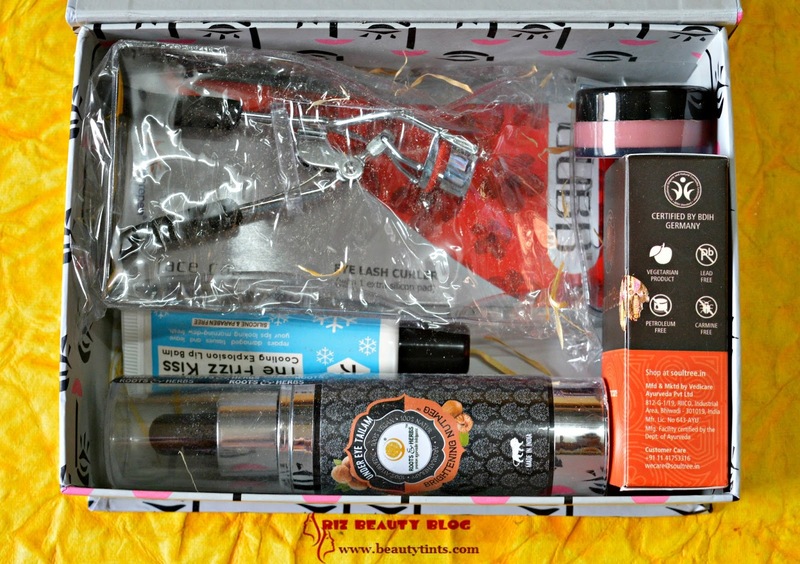 Want to know more about My Envy Box , then check about it in my previous posts here. 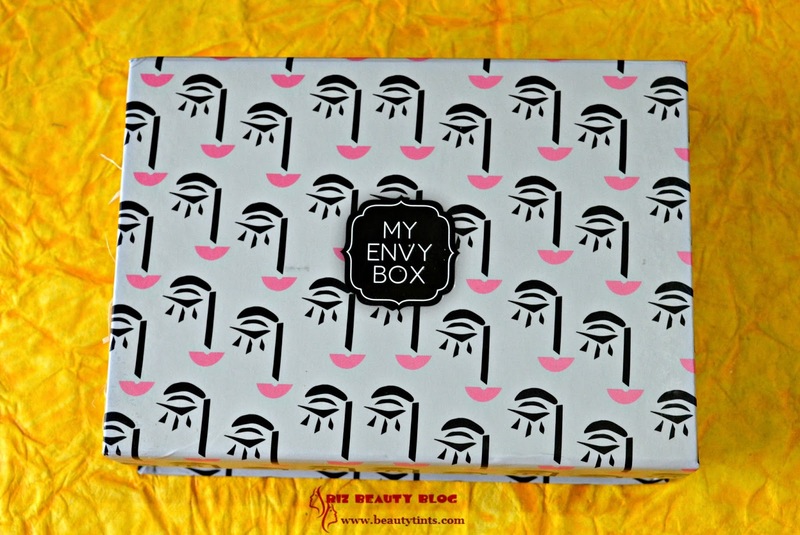 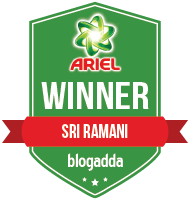 Lets See what I received in this Month's Box in detail : This time I received 4 products in which 3 are full sized products. 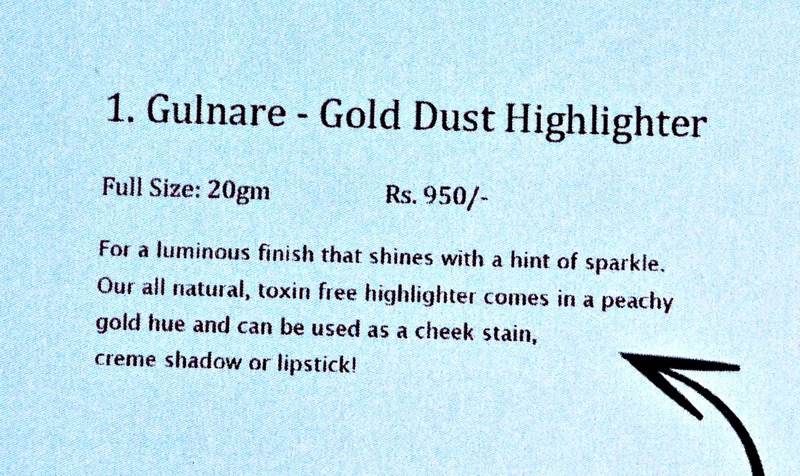 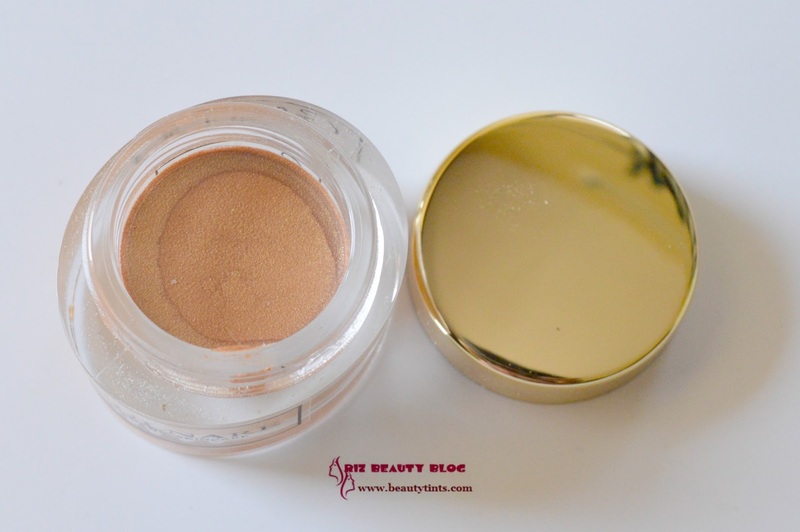 1) Gulnare Gold Dust Highlighter (20 gm) : Rs. 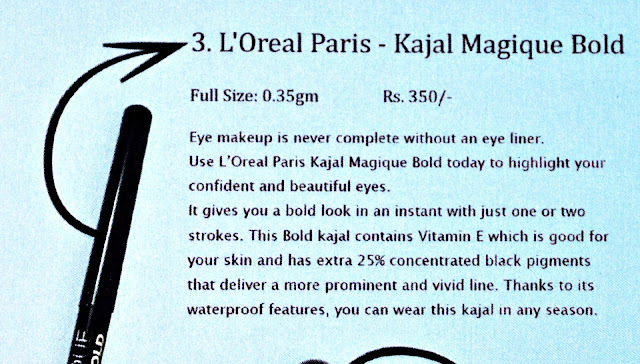 950 :: This is the first full sized product of 20 gm . 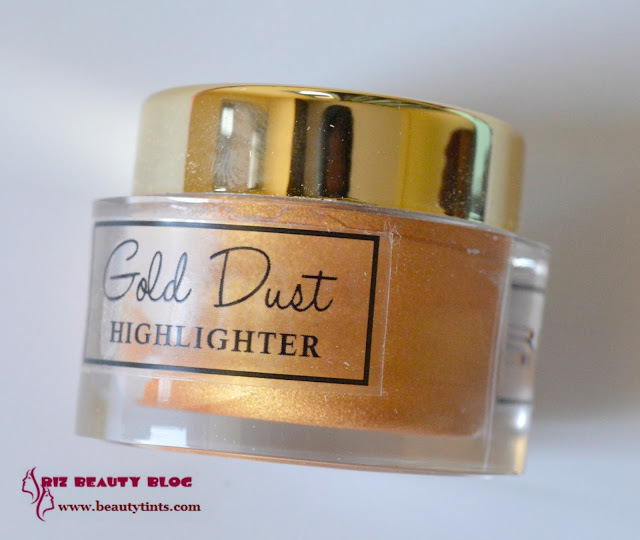 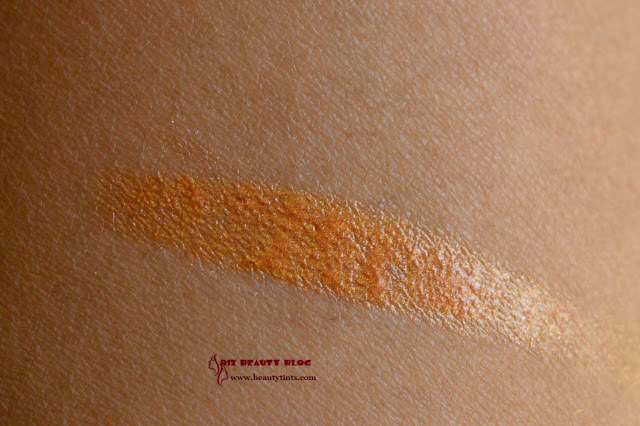 This Gold Dust Highlighter is meant to be used as a cheek stain or cream shadow or lipstick.But when I swatched it on my hand, it is a bit sticky and it turns into clear base with gold shimmers when applied on cheek.It may be used as a body shimmer but it is quite difficult to use on face.The good thing is it is made up of all natural ingredients and is toxin free. 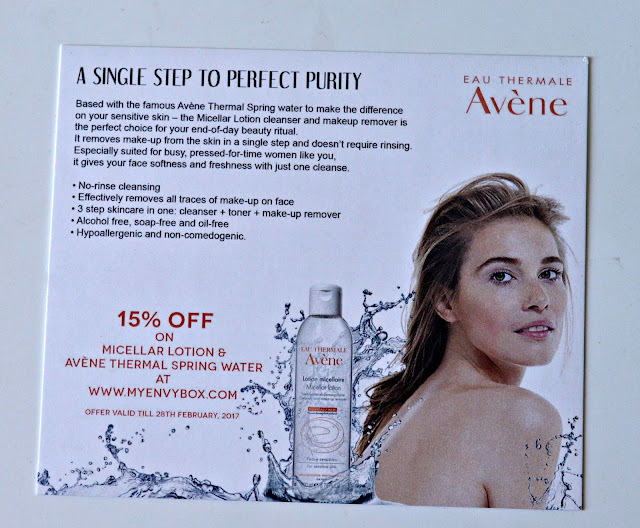 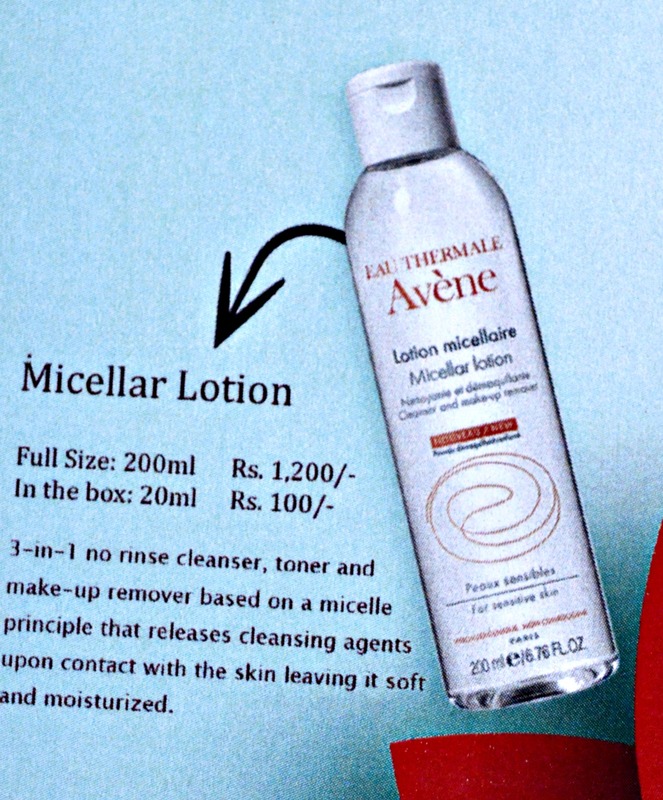 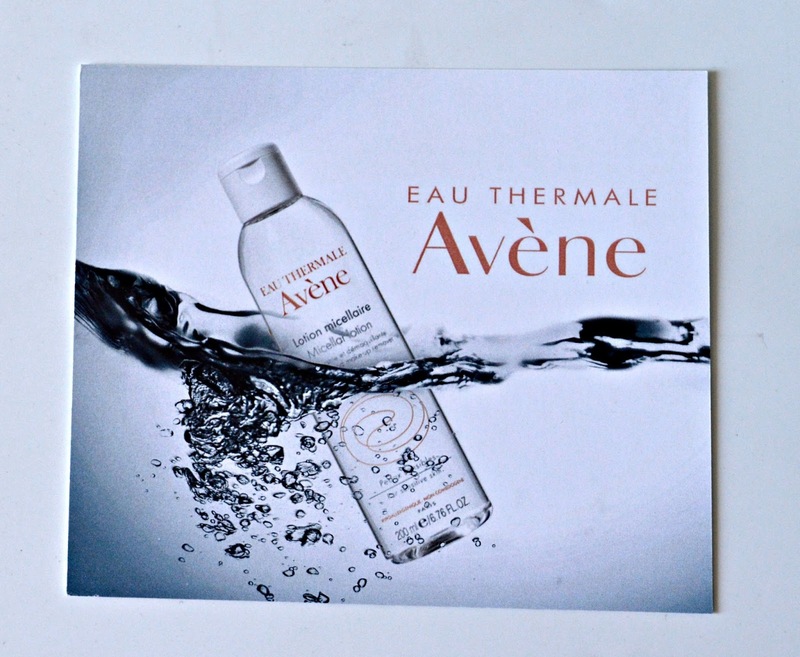 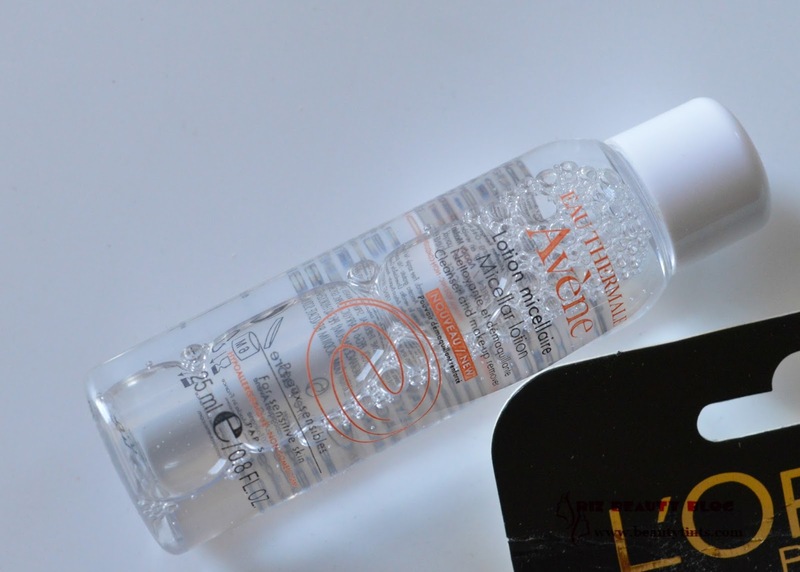 2) Avene Micellar Lotion ( 100 ml /INR 1200) : Avene is one of my favorite brands and I have used many of their products but haven't tried their Micellar lotion yet but have read various positive reviews on it.Super happy to receive this in the box.The sample size is 20 ml. 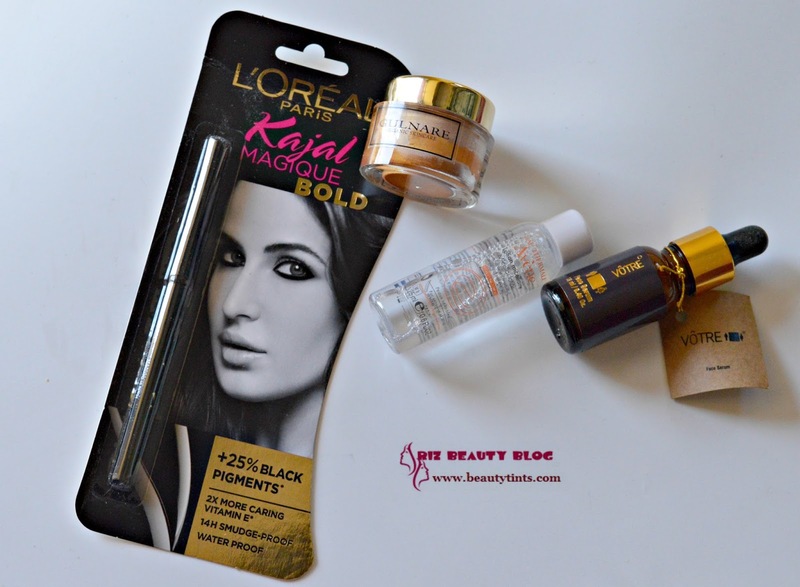 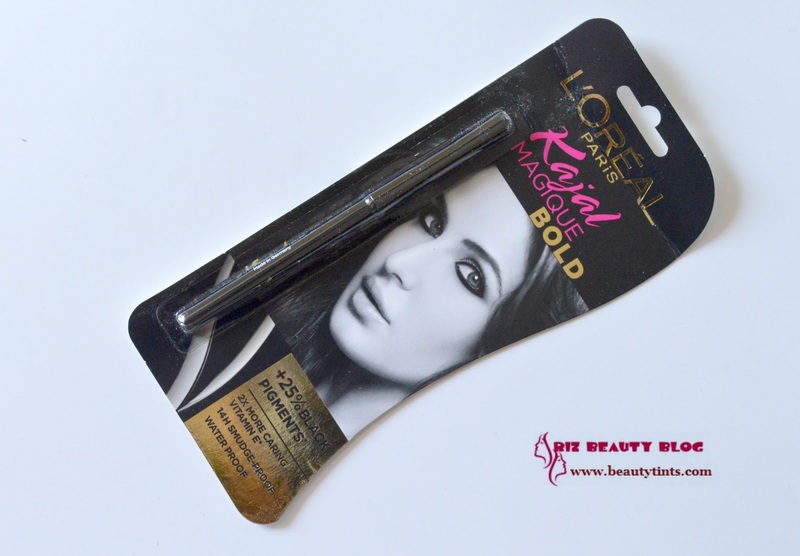 3) L'Oreal Paris Kajal Magique Bold : INR 350 for 0.35 gm:: I have not used this Kajal yet and I am looking forward to try this soon.This is also a full sized product! 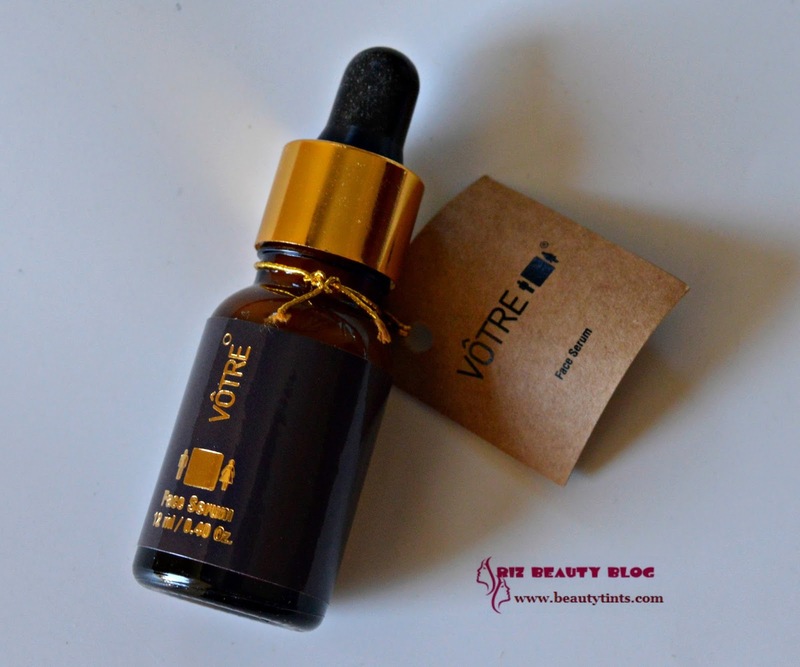 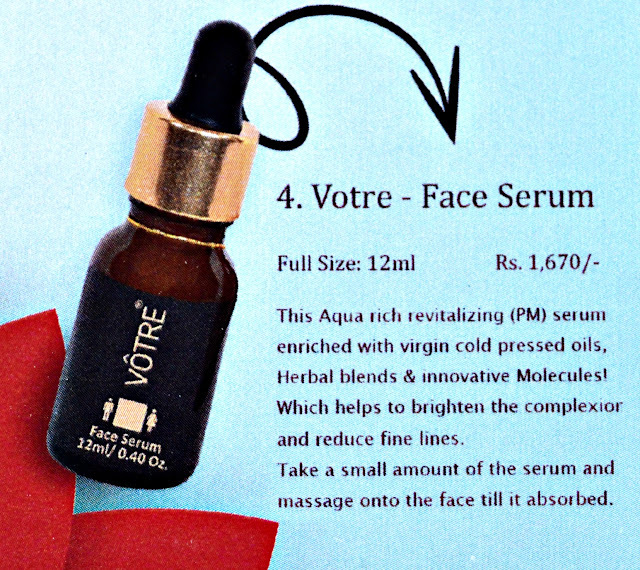 4) Votre Face Serum : I have received this serum sometime back in other subscription box and I used till the last bit of it.It is one of the best serums I have used so far and I thought of buying a new one and luckily I got this in this month's box.It is a full sized bottle which is priced at INR 1,670 for 12 ml. 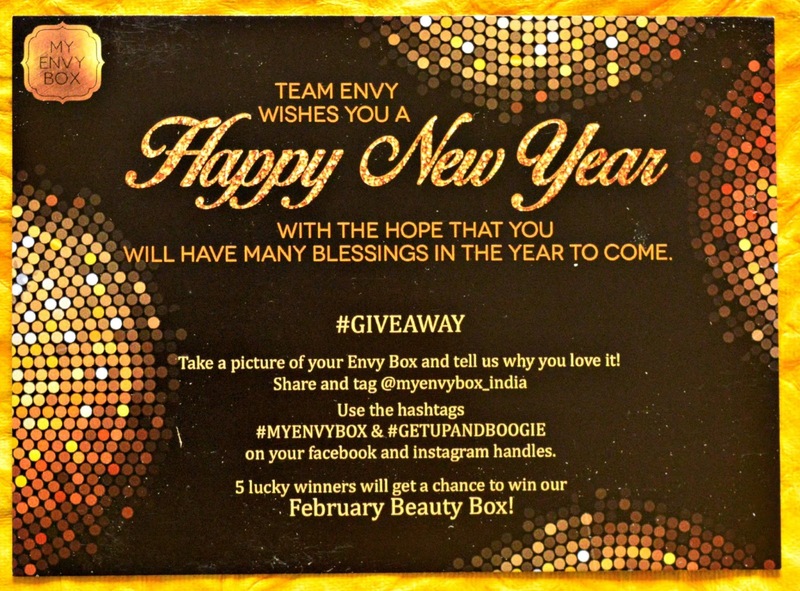 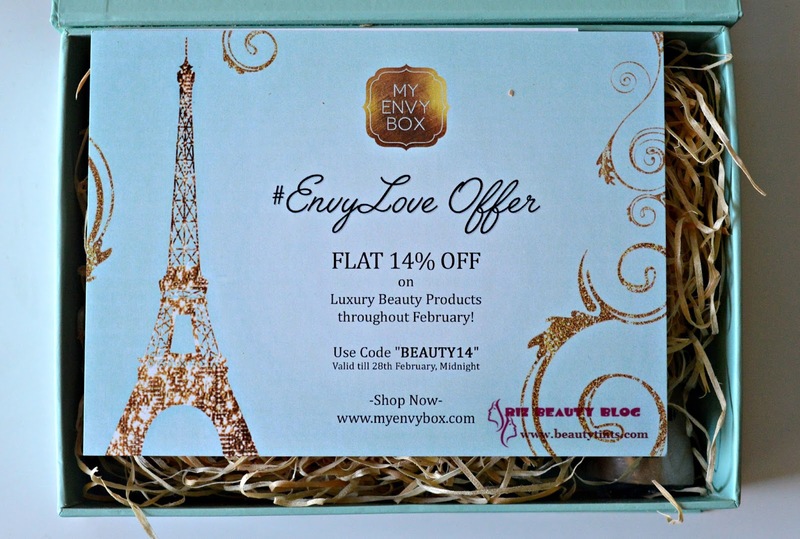 Final Conclusion About 'My Envy Box' February 2017 Edition Box: This Month's My Envy Box contains three full sized products and one decent sized product.Overall, this month's box has two skin care products and two makeup products from Indian brands and French Brands!